Involved and supportive parents and caregivers can have strong relationships with their children and the most lasting impact on their values and behaviors. Helping to influence positive changes in the perspective of parents and caregivers can encourage them have open conversations with their children – that is prevention. How can we engage parents and caregivers in prevention? It can be challenging to engage parents and caregivers in prevention, because parenting is a full-time job. In order for prevention strategies to be effective, they must be designed to work with a variety of lifestyles. 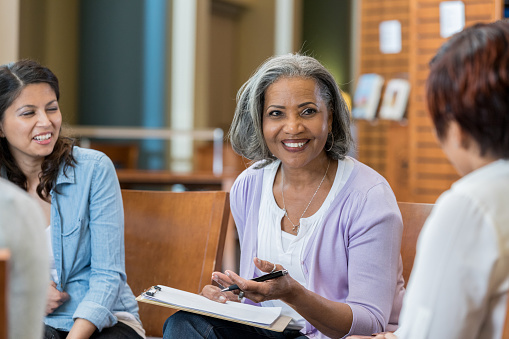 Some parents and caregivers are able to commit to longer classes or biweekly discussion groups. For others, receiving reminders and talking points via email or text about talking with their kids about healthy relationships is more convenient. Fortunately, both options are available for local domestic violence programs and parents. PCADV developed Raising Respect, an app for parents and caregivers that provides information on a variety of topics, and offers tips for starting conversations about healthy relationships with their kids. A child sexual abuse prevention program. This program teaches positive parenting skills to parents and caregivers of children from birth to age 10. A free online resource designed to help parents of 2–4-year-olds address common challenges.